Buddy Holly fans can look forward to Oct. 9. ’Cause that’ll be the day Not Fade Away: The Ultimate Buddy Holly Experience launches the Beaver Valley Community Concert Association’s 2018-19 concert season at Beaver Falls Middle School. This is no meek tribute band, Not Fade Away boasts on its website, backing that up with a YouTube sizzle reel that shows its musicians cranking out early rock/rockabilly tunes by Holly and his tour mates Ritchie Valens and The Big Bopper. “Not Fade Away wants to create a new show that will keep this music relevant, give it edge, bring it into today’s music scene, while not forgetting the importance of the music’s place in history and the impact it had on the world,” the website said. Not Fade Away and its colorful stage show won’t just dwell on Holly and the gang’s fateful final flight and “The Day the Music Died,” instead playing up the angle that he and his contemporaries were rock pioneers. Remember: The Beatles took their insect name in homage to Holly’s band, the Crickets. Holly hits like “Not Fade Away,” “That’ll Be The Day,” “Peggy Sue” and “Everyday” have stood the test of time. Another tribute band will bookend the Beaver Valley Community Concert Association’s new season. Beginnings: The Ultimate Tribute to Chicago will perform May 16, 2019, at Beaver Falls Middle School, treating the audience to hits by classic-rock band Chicago, such as “Saturday In the Park” and “You’re The Inspiration.” Beginnings began in 2002, and has played Las Vegas and Atlantic City casinos and Disney’s Epcot Center. 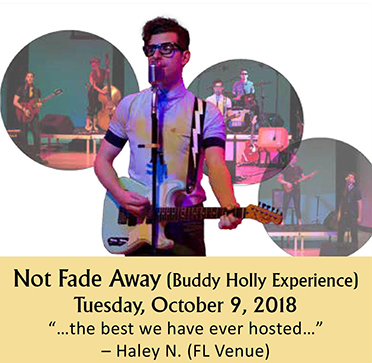 Oct. 9 — Not Fade Away (the Buddy Holly Experience). 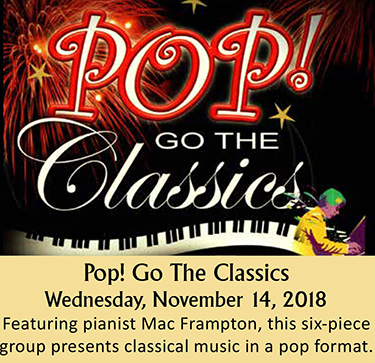 Nov. 14 — Pop! Goes the Classics, featuring Mac Frampton. 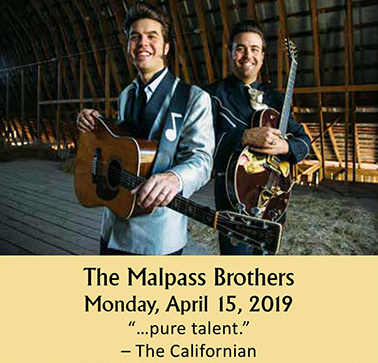 April 15, 2019 — Malpass Brothers a retro/classic country group. 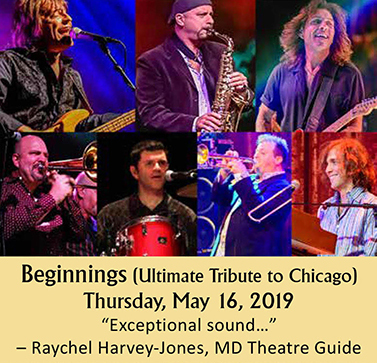 May 16, 2019 — Beginnings: The Ultimate Tribute to Chicago. All concerts begin at 7:30 p.m. Tickets are available at the door for $20 ($5 per students) or with a $50 season subscription for adults ($10 students). For subscriptions, call Peg Dehart at 724-843-2941 or mail a payment to 604 Sixth Ave., Beaver Falls, PA 15010. I guess I did OK emceeing last season’s ABBA tribute show, since Ficca invited me back to emcee the Chicago tribute. She didn’t tell me how early I should arrive, though. I’ll assume its 25, or six, to four. The Beaver Valley Community Concert Association would love for you to become a member today. By becoming a member for only $50 per season (students $10) you get all four wonderful concerts. All concerts are held at the Beaver Falls Middle School and begin at 7:30pm. You are not going to want to miss these! Tickets are also available at the door for $20 (students $5).